An organized mind creates organized output in any endeavor they become involved in. A well-organized business means an organized mind is running the show, and that’s the kind of business that reaches goals. It’s easy to keep your physical space organized, but in terms of financial success it’s what’s on the inside that counts. Particularly, your computer files and folders. 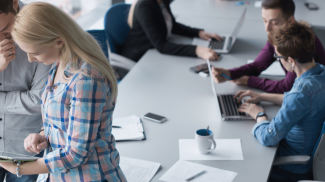 Without an organized computer, a spotless office isn’t worth a hill of beans. 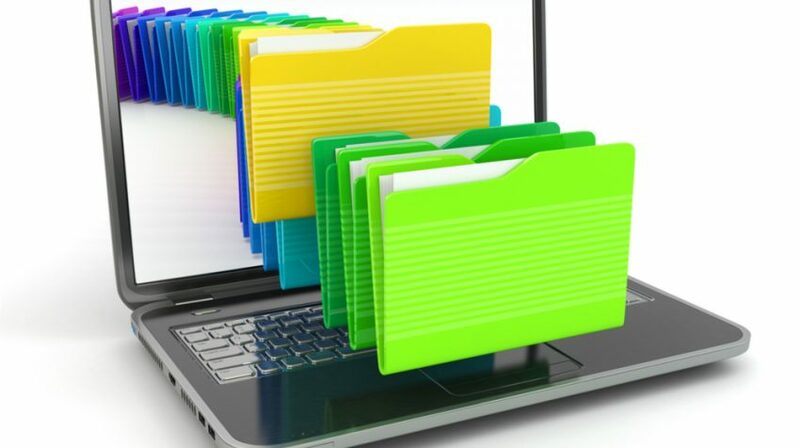 An organized computer contains files and folders named and arranged so users can easily find what they’re looking for. Most people hold this intention when saving files and creating folders, but it doesn’t last long. All too quickly, desktops become cluttered, download folders overflow, and undeleted installation files consume a large portion of hard drives. New folders are created when existing ones can’t be found, and files are named whatever seems convenient at the time. That doesn’t work when you have to bring specific files to a meeting or when you’ve got a team of employees who need to access files on your server. By naming your files the first thing that comes to your mind, you’re creating disorganization. File organization starts with a naming convention. A naming convention is a predefined template or structure for naming your files. For example, if you create Microsoft Word documents regularly, you might save them with a file name that begins with the date of creation. If your documents contain information compiled from different events, you might save your files as “date+event name+document description.” This allows your files to be grouped by date first and event second within the folder. With a naming convention in place, when you look at a list of file names, you’ll recognize them immediately and be able to find what you need. Using a naming convention makes all the difference in the world, as you can see in these examples published by RevEngine Marketing. Any naming convention you use should be based on how you’re most likely to search for your files and folders later on. Among descriptions of several helpful organization tools, Setapp makes an important point: a good file name allows you to know what the file contains without opening it. If it’s too late and you’ve got a bunch of files piled up with disparate names, all you need is a few minutes to come up with a naming convention and a bulk renaming app to do the work. The date the file was created. For marketing files, this works well. For instance, say you create your email newsletters in Word documents before they get sent out and you create multiple revisions. You’ll want to save each new draft with the date it was created. This way, if you decide you want to revert back to the draft you created yesterday, you can. The date the file content represents. For example, if you’re collecting data on historical events that will be entered into a timeline, you might want to use the date of the historical event in the file name. When you view these files in a folder, they’ll be alphanumerically organized by date, making it easier to extract the content in chronological order. The location your content was derived from. If you gather information while attending networking events, adding the location in the file name will help you access the right information later on. You might have a sudden realization and need to access the file containing information from last year’s Digital Hollywood, but unless you put “Digital Hollywood” or “DH” in the file name, you’ll have to open documents to find it. Specific date alternatives. Instead of using a full date, like “08-12-2015,” you may want to refer to quarters in your filename. For example, “2015-Q3” would represent the third quarter of 2015. If you need to reference information from the third quarter of any year, your file names should be organized by quarter. Otherwise, you’ll have to do the math to translate specific dates to quarters before you know you’ve got the right file. Files saved without naming conventions are hard to find. If you or anyone in your company struggles with finding files, it’s not too late to create and implement a naming convention. More than having the storage for your files. You should also have a way to organize your information.